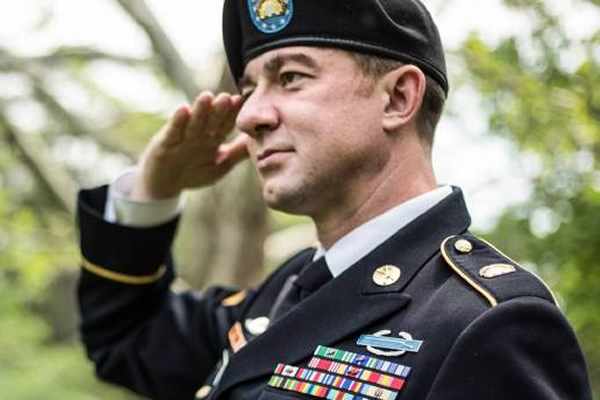 ALEXANDRIA, Va. — Lambda Legal and OutServe-SLDN filed a lawsuit May 30 on behalf of a sergeant in the D.C. Army National Guard who was denied the opportunity to serve as an officer and faces possible discharge from the United States armed services because he is living with HIV, the two agencies announced in a press release. OutServe-SLDN is also an organizational plaintiff in this case to advance the interests of its members who are living with HIV and serving in the military. In a companion lawsuit entitled Voe v. Mattis, Lambda Legal and OutServe-SLDN are representing an anonymous service member living with HIV whom the Air Force refused to commission as an officer after he graduated from the Air Force Academy, despite recommendations from medical personnel to do so. “Nick’s situation is the perfect example of just how archaic and harmful the military policies regarding people living with HIV really are,” said Scott Schoettes, counsel and HIV project director at Lambda Legal. The “Deploy or Get Out” policy was announced on Feb. 14 and directs the Pentagon to identify service members who cannot be deployed to military posts outside of the United States for more than 12 consecutive months and to separate them from military service. Because current U.S. military policy identifies service members living with HIV as non-deployable, they could face immediate discharge under this new policy.